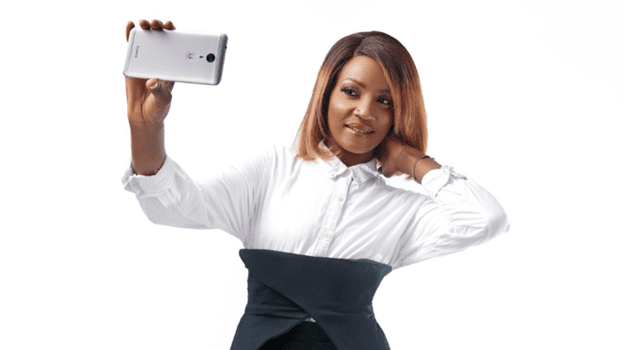 A lot of owners liked the Gionee A1’s design, which comes with a metal back and a glass finish at the front; a lot of users described it as “premium”. One owner said it does get a bit slippery, but thankfully Gionee offers a case as well as a screen protector in the box. We also got a lot of positives on the camera and battery, a lot of female users talked about how great the phone was for selfies, and also a lot of guys talked about how you can carry around the phone for a day without charging. We also had a lot of people online going on and on about how impressive the phone is, not a single issue with performance. Multitasking is on point, no hanging problem, Battery last long with full day backup, Ultrafast charging is awesome, multitasking is 10/10. 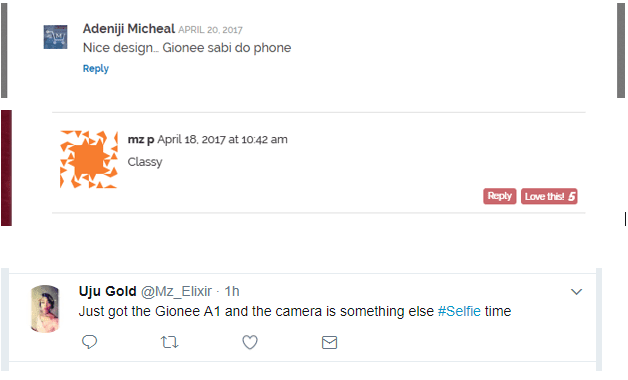 One user on twitter described the Gionee A1 as “GBAM” we are not sure exactly what that means but we are guessing it’s a positive review. 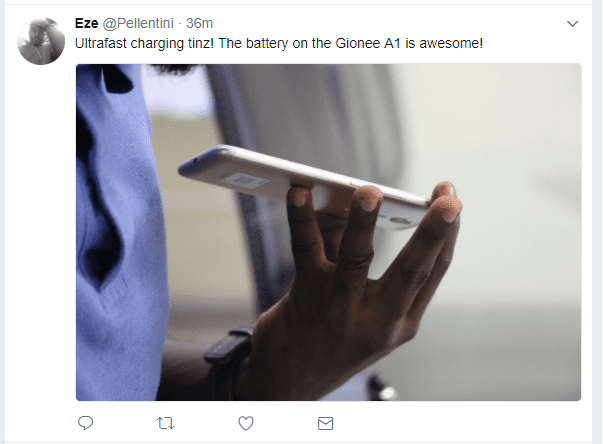 It wasn’t all good though we still had some people talking about how all the Gionee smartphones all look like, and how the phone is not budget friendly but even with the criticisms, people who’ve bought the phone have found plenty of reasons to be satisfied with their purchase. Based on some of the reviews we got online and offline, it turns out the A1 is shaping up to be one of Gionee’s best-regarded phones yet.